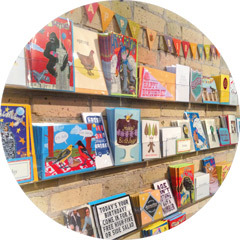 The shop you’ve been looking for in the heart of Minneapolis. OPEN 10-6 Tuesday through Friday and 10-5 on Saturdays and by appointment. Now offering in-home framing consultations! We’ll give you multiple creative options for any budget. Need a greeting card, gift, pet toy, candle, or thank you note? Swing in. We've got you covered. Gift cards are now available online or in our shop.